New Orleans sure knows how to throw a great party. This weekend kicked off the 41st annual Jazz and Heritage Festival Presented by Shell, and the celebration continues through Sunday, May 2. There are too many wonderful artists to list, but when you think of Lionel Richie and Aretha Franklin for starters coupled with up-and-coming musicians, it’s a music festival that doesn’t quit. And you also get a wonderful culinary and shopping experience, Big Easy style. Although I can’t attend this year, I’ll be playing the music on my iPod while I imagine platters of crawfish, Cajun jambalaya, po-boys, and alligator pie to keep me happy. Can’t make it to Jazz Fest this year like me? You can wait until later next month and head down to the 19th annual New Orleans Wine and Food Experience (NOWFE) instead, a festival of winemakers from around the U.S. and New Orleans’ best restaurants, from May 25 – 29. Look for celebrity chefs such as John Besh and Hosea Rosenberg, Season 5 winner of Top Chef as well. For a list of wine dinners, tastings, and seminars, click here. 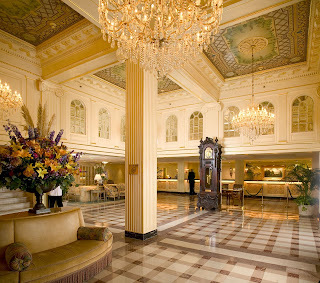 Hotel Monteleone: This historic French Quarter hotel is offering a special rate starting at $149 during NOWFE. 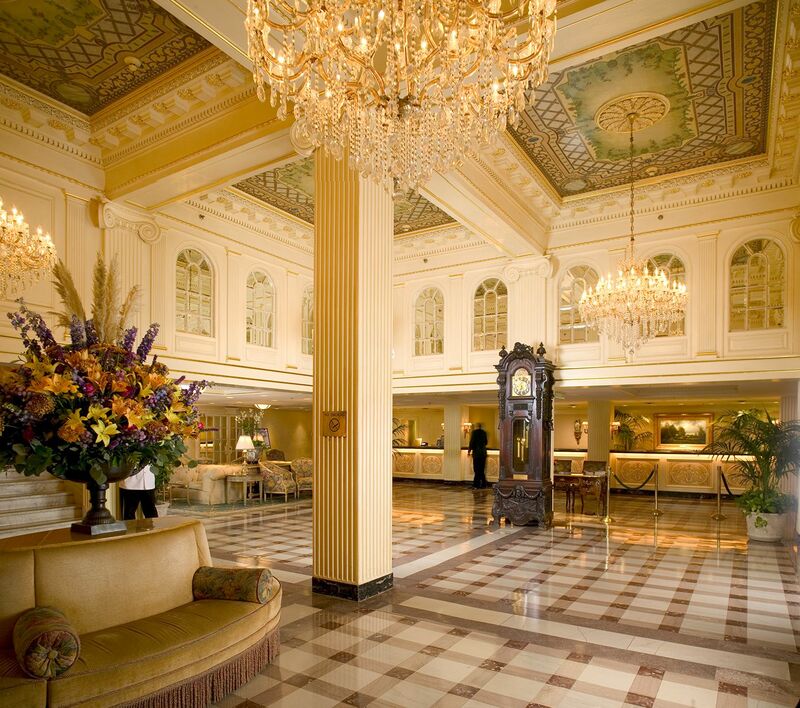 The hotel will also host a number of the event’s seminars and the “Royal Street Stroll,” where guests can promenade through lovely Royal Street and stop in a variety of galleries to experience a combination of live jazz, art and wine. Tickets are $75/person in advance and $90 on site. To book tickets for the stroll, click here. To reserve your stay at the hotel, click here. (Photo is of the lobby). The Roosevelt Hotel : Opened in 1893 as The Grunewald, this Waldorf Astoria property is offering a “Sip and Savor” package. Rates start at $359 and include one night stay in luxurious king suite, welcome cocktails for two in the historic Sazerac Bar, and tickets for two to NOWFE’s Grand Tasting. Valid 5/27-6/1. Call 800-WALDORF. Wow! These both sound great. Do you have any dining recommendations if we go down later in the month for the wine and food festival?